What Does Inoculate Mean in Microbiology? Safety goggles are any kind of eye-wear that is intended to protect the user from some kind of peril. There are many different types of safety goggles. Within sports and racing, for instance, there are safety goggles that protect a person's eye from injury due to trauma. Within science, however, safety goggles are generally worn to protect the eyes of the wearer from hazardous materials or chemicals. It is that latter type of safety goggles with which this article is concerned. Safety goggles are important for a number of reasons. 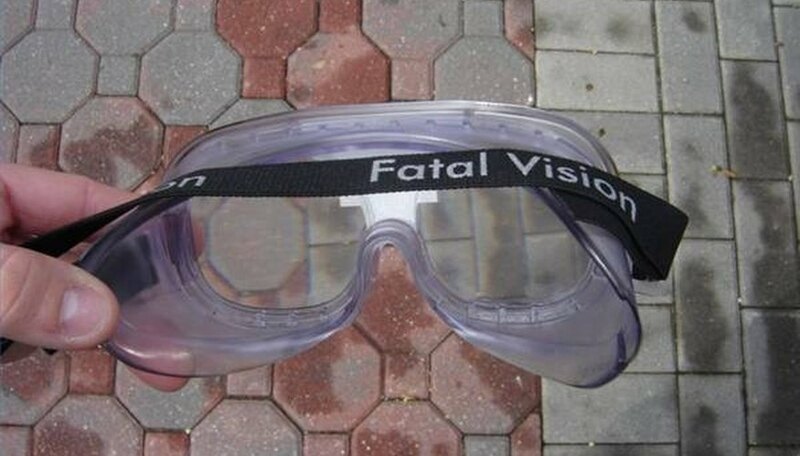 To begin with, they allow the wearer to handle potentially harmful chemicals without fear of damaging their eyes. This can also be true to biological matter. When handling potentially infected material, for instance, safety goggles are an important defense against infection. Safety goggles can also help to protect an individual from harm to the eye from physical trauma. If, for example, an explosion should take place in the lab, safety goggles might be the only thing preventing a person from being blinded or seriously hurt. When Should I Wear Safety Goggles? Safety goggles should be worn any time one is handling potentially harmful material or chemicals. If in doubt about whether or not to wear your safety goggles, always err on the side of caution. It is vastly preferable to wear safety goggles when they aren't really necessary than to fail to wear them when they ought to have been worn. In fact, if it's difficult for you to remember to wear safety goggles, then it's a good idea to simply get into the habit of always wearing them within the lab setting, just to make sure that you'll have them on when needed. What Is the Difference Between Permeable & Impermeable? Weed, Geoffrey. "Why Are Safety Goggles Important?" Sciencing, https://sciencing.com/why-safety-goggles-important-4579751.html. 24 April 2017.